BLUEFIELD COLLEGE is a private, liberal arts college founded in 1922, located in the beautiful Appalachian Mountains in southwestern Virginia. Bluefield College sits on 82 acres of land and consists of 14 buildings. The institution's location in the heart of the Appalachian Mountains provides plenty of opportunities for canoeing, kayaking, rappelling, white-water rafting, rock climbing, and hiking in the Virginia mountain countryside. Bluefield College is known for its classroom technology, affordability, personalized instruction, and learning settings in countries abroad (study abroad). At Bluefield, students have the opportunity to be engaged in any number of student organizations, sports, or ministry opportunities. Students come from more than 33 states and 30 countries and 99% of students receive some type of financial assistance. 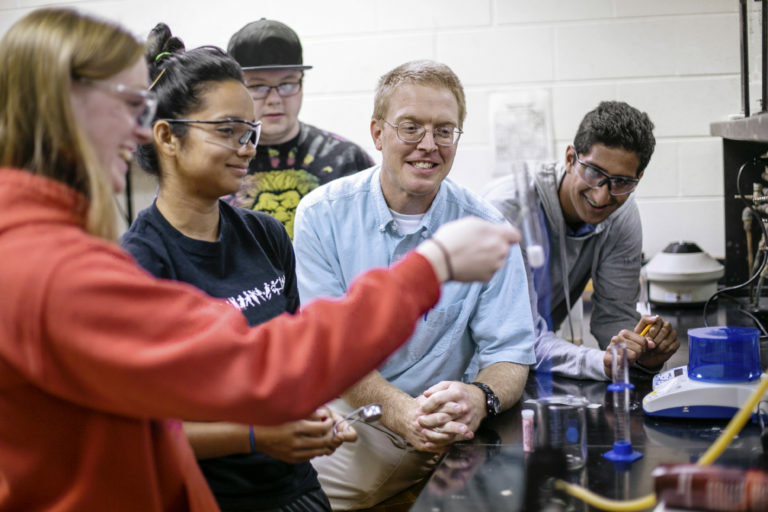 As a traditional liberal arts institution, Bluefield College recognizes the need for balance between the classroom and the co-curricular experience. The total college experience permeates all aspects of the College community to develop the total person. The Student Development Program at Bluefield College is designed to be an integral part of the education process by supporting and strengthening the educational, social, spiritual, and physical experiences of the student. Andres – “Bluefield has given me the opportunity to become a leader in my community, to play a sport at the collegiate level, and to meet people from different backgrounds, ethnicities, and religious beliefs." Would you like to learn more? Follow this link: Connect Form. WITH OVER 45 ACADEMIC OFFERINGS, Bluefield College offers a student/faculty ratio of 16:1. Small class sizes provide students direct access to the highly qualified professors who act as mentors, coming alongside to intentionally guide students in the pursuit of academic excellence. In addition to vast academic offerings, Bluefield offers internships, study abroad, and tutoring opportunities, ensuring abundant resources for student success. Bluefield professors think of themselves as guides who come alongside their students and help them grow into the thinkers they have been made to be. Every major at Bluefield college is designed to equip each student for a fulfilling life. BLUEFIELD COLLEGE'S GLOBAL EDUCATION PROGRAM is designed to promote a greater understanding of and appreciation for global cultures, languages, issues and traditions. Toward that end, four Bluefield College students and a professor travelled to China in May 2013. As part of their exchange experience, the students presented about their lives in the US at the Jiangsu Second Normal University where they learned about calligraphy, paper-cutting and how to make dumplings! The BC studetns helped the Chinese students practice their English skills in a variety of settings, enjoying the local food, attending accrobatics and martial arts shows and experiencing Chinese karaoke in grand style! In September, four Chinese students and a professor visited the Bluefield College campus and presented about Chinese culture and history as part of the ongoing exchange program.